Lauterborn Electric was called out to the center city area of Philadelphia to troubleshoot why an electric cooktop had stopped working. The image shows exactly what we found when we opened up the device. A poor installation caused the device to start burning up to the point of failure. 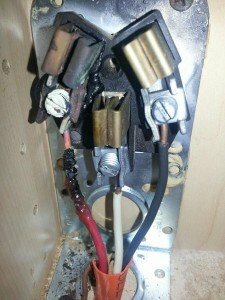 The breaker tripping kept this problem from becoming a bigger issue. 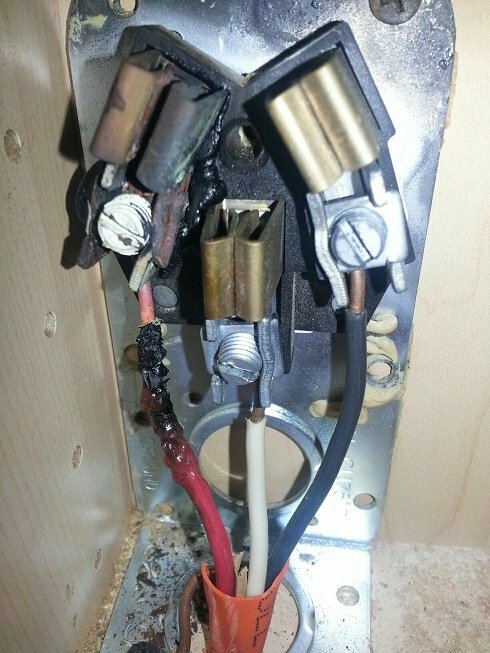 We replaced the receptacle and cleaned up the wiring and the cooktop was operational once again. 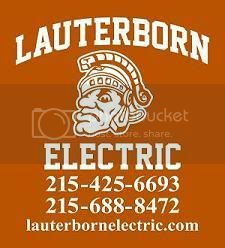 For all your electrical needs contact your Licensed Philadelphia Electricians, Lauterborn Electric.